Do you have a rooted Android device and a computer running Linux? If so, you’re already on your way to coding for Android in Assembly. Android devices use ARM processors, and [Vikram] makes the argument that ARM provides the least-complicated Assembly platform, making it a great choice for those new to Assembly programming. We think his eight-part tutorial does a great job of introducing the language and explaining how to get the development tools up and running. You’ll need to know some basic programming concepts, but from what we saw you don’t need any prior experience with ARM or Android. So why learn Assembly at all? 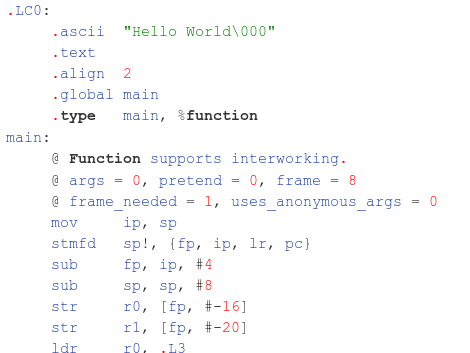 We took a stab at Assembly for AVR a few months ago and really learned a lot about the hardware that we just never needed to know writing in C. It’s a great way to optimise functions that waste too much time because of quirks with higher-level language compilers. That means you don’t need to write your entire application in Assembly. You can simply use it to streamline hairy parts of your code, then include those Assembly files at compile time. 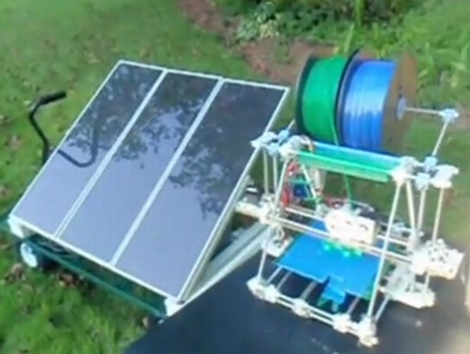 [Mark] wrote in to share a little creation that he is calling the first solar-powered 3D printer in existence. While we can’t say that we totally agree with him on that title, we will give him the benefit of the doubt that this is the first solar-powered RepRap we have seen thus far. You might remember [Mark] from his previous exploits, but rest assured that there’s little possibility of anyone losing an eye with this one. He has taken his RepRap outdoors, and with the help of a solar panel plus a few batteries from Harbor Freight, he has the world’s first solar-powered RepRap*. The trick behind keeping the RepRap running for such a long time with the sun as its only power source lies in the RAMPS board [Mark] uses. He has the 1.3 revision of the shield, which enables him to print objects loaded from an SD card rather than requiring a computer to be connected at all times. So, if you happen to need the ability to print 3D objects where an extension cord cannot possibly reach, check out [Mark’s] setup and get to building! [Aurelio] wrote in to tell us about the smartCaster, an “Open source automatic roto-casting machine.” For those of you not familiar with roto-casting, or rotational molding, it’s a process whereby something to be formed is placed into a mold and then melted while spinning. This item is often plastic, but it can be another material such as plaster of Paris or even chocolate. Naturally, having something made using this process is generally very expensive and generally requires a high volume of parts to be made. The smartCaster Kickstarter project aims to change this. Although in the prototype stage currently, [Aurelio] claims to need only $1571 to finish his project and make it ready for the prospective at-home rotational molder. 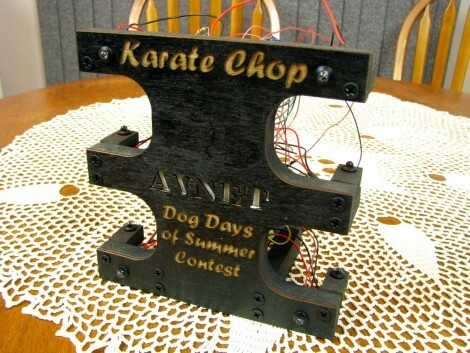 [Alan Parekh] and his daughter [Alexis] just premiered their entry in the Avnet Dog Days of Summer contest. It’s a game called Karate Chop that is basically an electronic Simon Says. 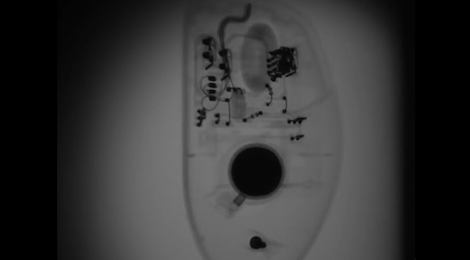 The video after the break shows a demonstration of the device. When switched on it’ll play a little tune and start cycling the LEDs on the front of the case. Players interact by breaking the infrared beams in the two cutouts on either side of the case. You need to keep your hand flat to do this, which is where the name comes from. There are four different game modes which are selected at the start of the game. There are two difficulty levels of a Simon Says game which shows the player a pattern in light and sound, then watches for the user to repeat that pattern back. The other mode that [Alexis] demonstrates is a reflex game which requires the player to quickly react to randomly illuminated LEDs. The circuit is built on a breadboard hiding behind the front bezel and uses a PIC 16F1827 microcontroller to drive the game. The case itself is made from laser cut MDF and plywood. We’re not sure how much time [Alan] spent on the case, but we think it looks wonderful. If you’re planning to participate in the contest you better get rolling, the entry deadline is tomorrow. [Linas] built himself an x-ray generator for a scholarship contest. We assume this wasn’t enough of a challenge for [Linas] because after the x-ray generator was done, he used his project to model objects in 3D (Google Translate link). It’s an amazing build, leaving us feeling sorry for the guy that came in second place to the home-made CT scanner. The theory behind a CT scanner is fairly simple – take a series of x-rays of an object around an axis of rotation. From there, it’s a fairly simple matter to digitize the x-ray images to produce a 3D model. The hard part is building the x-ray generator. [Linas] used directional x-ray tubes, a few power supplies and from what we can gather x-ray film instead of a CCD sensor. The film was scanned into a computer and reassembled to get a 3D image. [Linas] doesn’t seem too keen on giving away the schematics for his build to any old joker on the Internet because of the high voltage and radiation components of his build. Still, it’s an amazing build. Check out the YouTube demo of [Linas]’s CT scanner imaging an old computer mouse and a reconstruction of the same data done in MATLAB after the break.